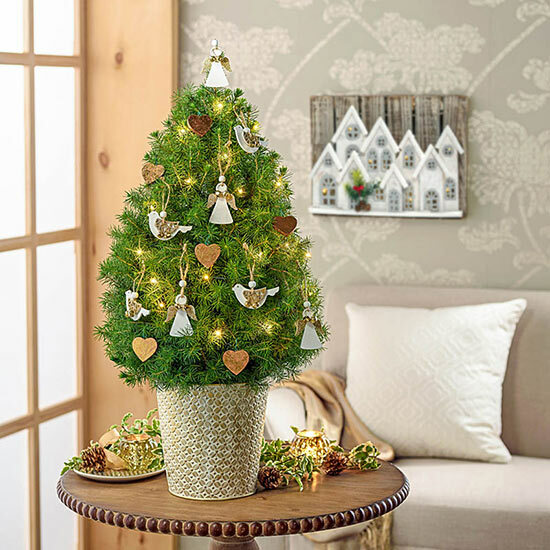 Peace on Earth Decorated Spruce Tree brings harmony to the holidays. 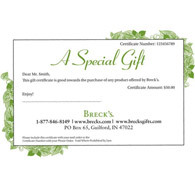 Each of our living, potted spruces is nurtured at least for four years before it can fulfill its destiny as a Breck's Gifts decorated Christmas tree. During that time, it is professionally groomed and shaped among other hopefuls for this special honor, but each year, only the best are chosen. After bringing holiday joy, these Picea glauca spruce trees can be transplanted to the ground in zones 3−8 where they will slowly grow to a mature height of 6−12 feet.